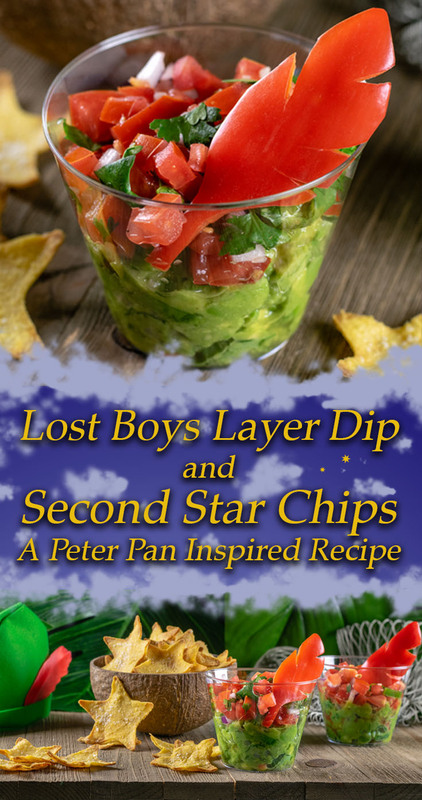 We received a copy of Peter Pan to help with creating our Lost Boys Layer Dip and Second Star Chips. One of our favorite Disney movies is Peter Pan. When we heard that they would be releasing it as part of the Walt Disney Signature Collection we were ecstatic! Not only that but the film is celebrating its 65th Anniversary! We thought it be fun to create some Neverland inspired treats perfect for a viewing party! The inspiration for our Lost Boys Layer Dip and Second Star Chips was completely visual. We initially wanted to do Shepherd’s Pie in star shaped ramekins but couldn’t find them. So we decided to take inspiration from Peter’s outfit and Neverland itself. 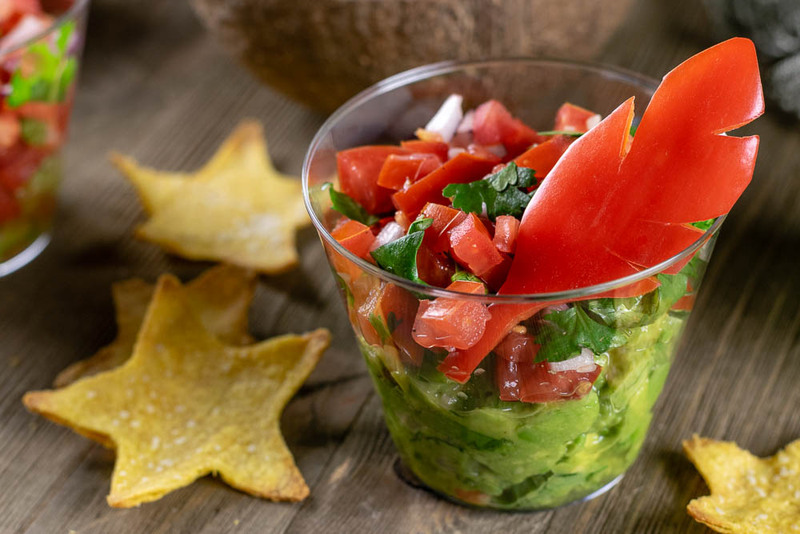 The great thing about this recipe is that you can either use our recipes for guacamole and pico de gallo or buy it pre-made! Both ways are easy. We hope you love our Neverland inspired recipe! Peter Pan is available now on Digital HD and Blu-ray! Be sure to catch our full review of the Blu-ray at DAPs Magic! Now for a bit of fun! We are giving away 5 digital copies of Peter Pan! Be sure to enter below. The winners will be chosen next Tuesday! Good Luck! 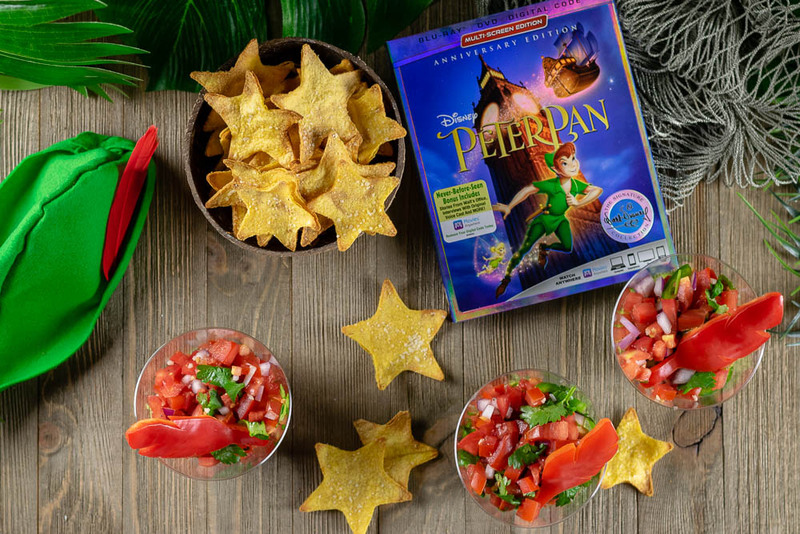 To celebrate the 65th Anniversary of Peter Pan and its Walt Disney Signature Collection Blu-ray release, The Geeks have created a recipe for Lost Boys Layer Dip and Second Star Chips! Line cookie sheet with aluminum foil and spray with cooking spray. In a small bowl, combine oil and lime juice. Brush one side of your tortillas one a time creating a small stack of 6. Use a star cookie cutter of your desired size to cut out stars. Make each dip by combining each type's ingredients in a bowl. 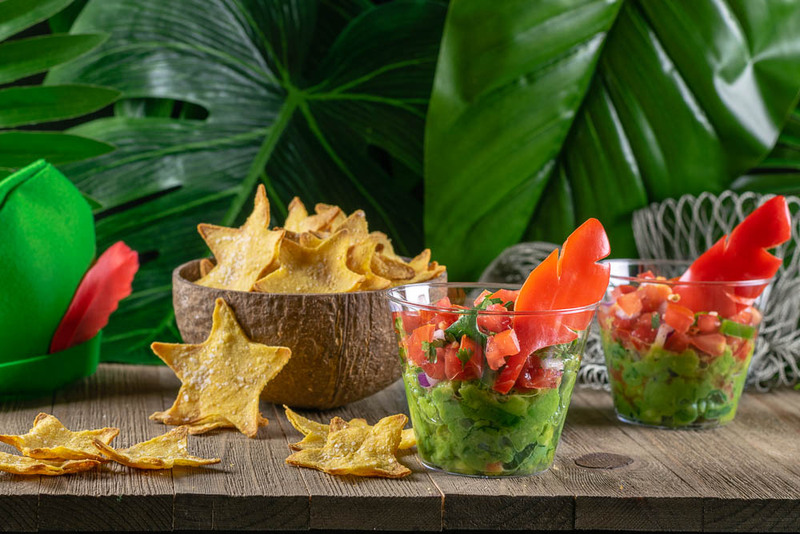 Fill individual cups 2/3 full of guacamole. Top with Pico De Gallo. Stick a feather into each cup. The Geeks were provided with a copy of Peter Pan for research purposes. All opinions are wholly our own. Giveaway digital copies of Peter Pan provided by Fingerpaint Marketing. View our Disclosure Policy for more info.